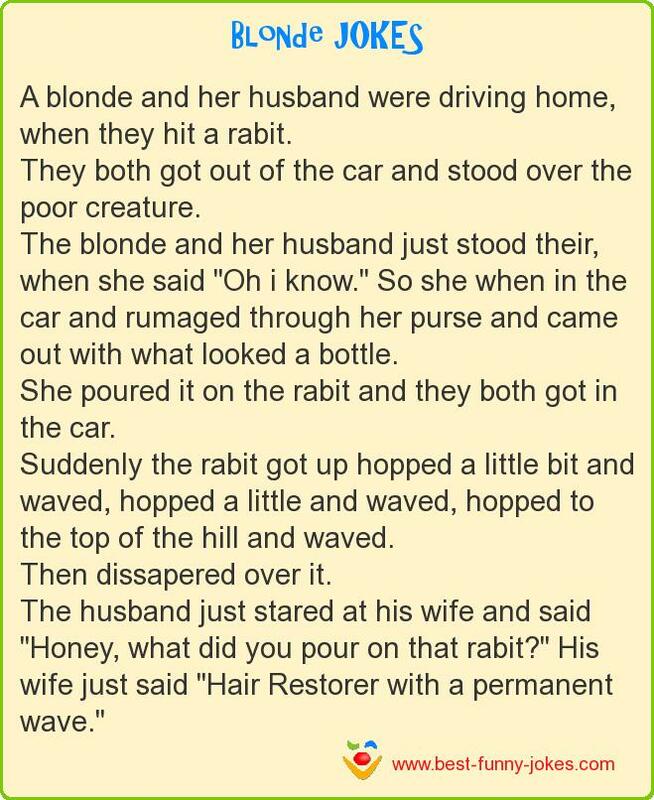 A blonde and her husband were driving home, when they hit a rabit. They both got out of the car and stood over the poor creature. The blonde and her husband just stood their, when she said "Oh i know." So she when in the car and rumaged through her purse and came out with what looked a bottle. She poured it on the rabit and they both got in the car. Suddenly the rabit got up hopped a little bit and waved, hopped a little and waved, hopped to the top of the hill and waved. The husband just stared at his wife and said "Honey, what did you pour on that rabit?" His wife just said "Hair Restorer with a permanent wave."